When someone drives past your home, they will take a quick look at it and this is the memory that will stick in their head. If they receive a poor impression of your home, they will only have that to go off of. It is important for you to dress up your home and improve the curb appeal, otherwise, you may not attract people to your home and you may not sell your home easily when you are ready. The following landscape tips will help you dress up your home and provide you with some ideas to help draw in people’s eyes to your home. Did you know that your roof is one of the things that people will look at when they peek at your home? It is true. If you have a roof that is patched, missing tiles, or dirty, you will find that others walk away and never even give it a second thought. You may need to think about a roof replacement or even a roof cleaning to help bring back that quality look. Your front door is even more important than your roof. In fact, most people will instantly focus in on the front door. You should choose an elaborate and beautiful door that really defines your home. You can choose from a modern door to a rustic door and more. In addition, you need to paint the door a color that really pops and works with your home. If you choose a boring or dull color, people will simply shrug their shoulders and move on. While you may be happy with the outside color of your home, have you thought about the color of the surroundings? If not, it is time to take some time and do so. For example, what about plants or flowers? Are there any colorful, native ones that you can add to your home? People love gardens, flowers, and an ornate landscape, so do not be afraid to decorate. If you are ready to decorate the exterior of your home and use the proper landscaping elements, contact the professionals at J. 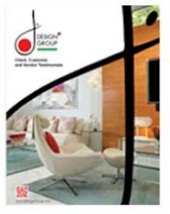 Design Group to help you now.